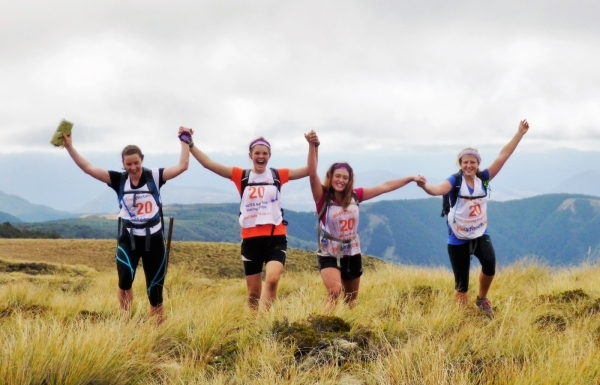 What could be the largest youth Adventure Race in the world is taking place this weekend in New Zealand. Organised by David and Tans Tait under the 3 Peaks banner the TrackMe.life GO-4-12 Youth Adventure Race will have 300-400 young competitors across 3 events over the weekend. They come from school and youth groups all across New Zealand and there also 3 visiting Australian teams. The 12 hour race challenges teams of 4 in year 10 and above, and includes the North Island Secondary School Adventure Racing Championships. As well as the 12 hour race there are also a 6 hour Adventure Race and a 3 hour Explorer race running this year. The 6 hour race is for teams of 4 in year 9 and above and the 3 hour event is an introduction to AR for pairs from year 7 upwards, with no mountain biking on this course. The racers on the 12 hour event complete both the 3 hour event, which is a foot orienteering race with 15 different challenges along the way, and the 6 hour course. The remaining 3 hours is spent on a rogaine.